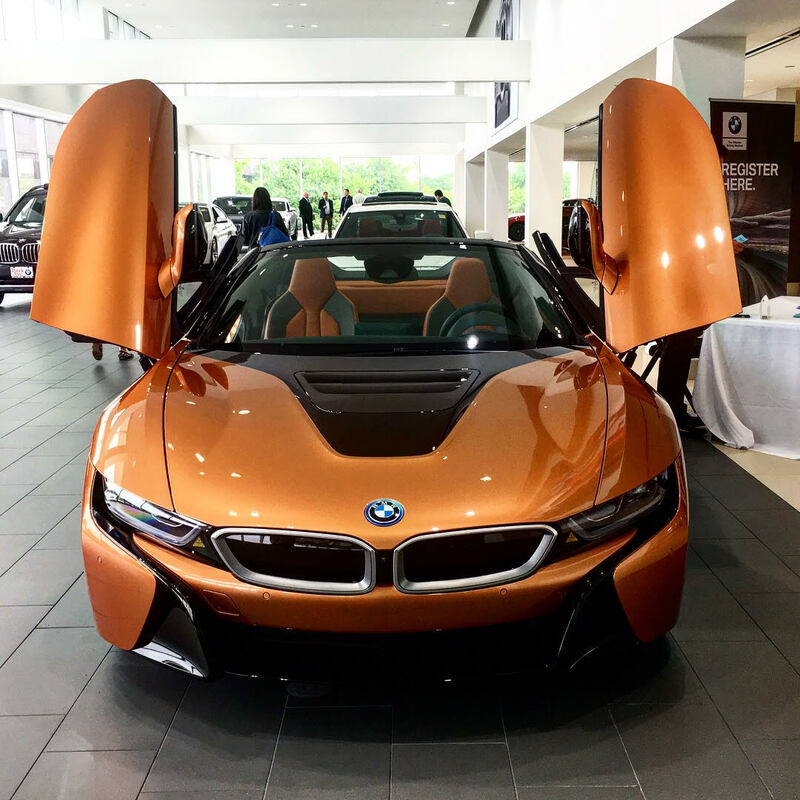 Park Avenue BMW — the esteemed family-owned dealership located in Rochelle Park, N.J. — celebrated the grand opening of its brand-new, state-of-the-art facility on Thursday, May 17. 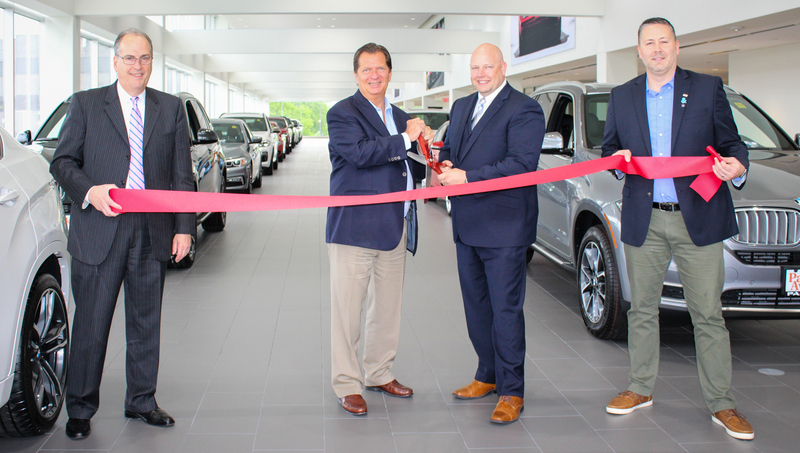 A ribbon cutting ceremony led by Mayor William Hauser and Deputy Mayor Michael Warren officially marked the opening as well as kicked off the dealership’s three-day event. Located along Route 17, Park Avenue BMW’s new structure is quite remarkable. By carefully mapping out the layout of the new facility, the dealership successfully transformed an old, abandoned office building into a multi-level, upscale auto haven that is focused on elevating the customer experience. The showroom, which is located on the second floor of the building, boasts a white aesthetic with gray tile flooring, a typical BMW-style of decor. Park Avenue BMW further infused their space with large blow-up images of various BMWs including some of the marque’s racing, electric and vintage autos. 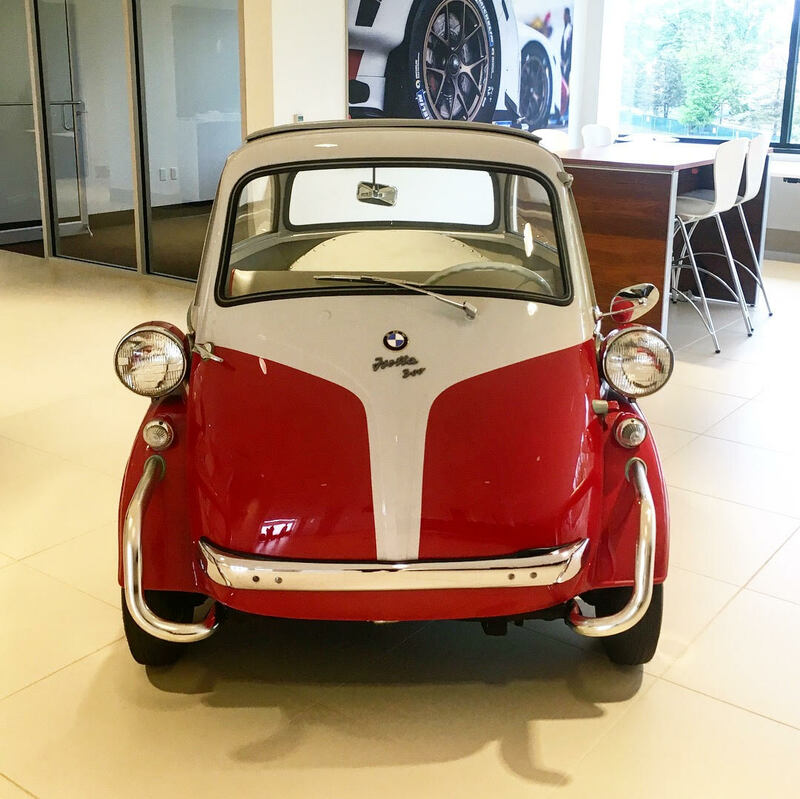 Large floor-to-ceiling windows surround the perimeter, and there are various sitting areas for customers to relax in as well as an Isetta-inspired refreshment station, which showcases an actual red Isetta model. Other aspects of the showroom include redesigned sales stations. Unlike other dealerships whose stations are situated in separate offices, Park Avenue BMW’s sales personnel sit directly next to the customer, so they can have a comfortable conversation setting. These stations also have client-facing monitors to promote transparency. Not only is the new site vastly larger than their old showroom, which allows the dealership to showcase more autos than ever before, but it also allows the customers to experience the vehicles in a new light. 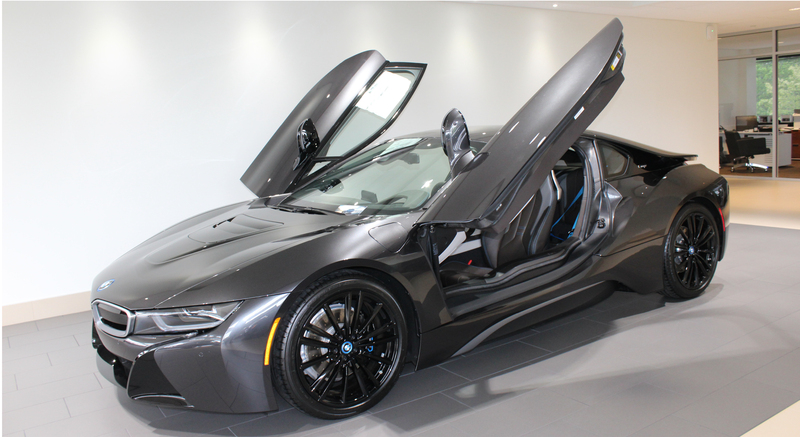 When speaking with Park Avenue BMW’s President Roy Sommerhalter, Jr. and General Manager Wayne Carenza, both touched upon the fact that this new facility offers more room for guests to admire the cars they’re looking to purchase. Nearly the length of a football field, the showroom can comfortably fit up to 30 cars on the floor, allowing customers to appreciate every angle of the auto with extreme ease. 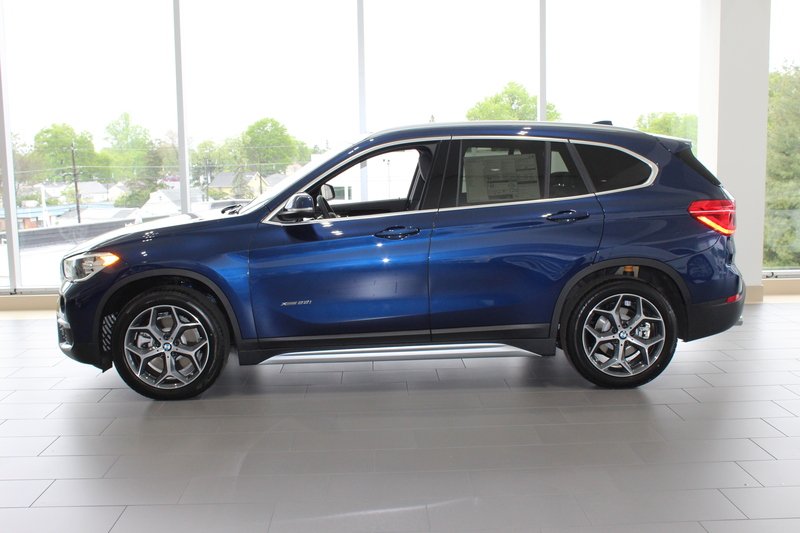 Sommerhalter continued to explain that since these are a customer’s dream car, Park Avenue BMW makes it a point to develop a trusting, long-lasting relationship with each of their clients, rather than just focusing on landing the sale. Carenza, who has been with Park Avenue BMW for nearly four decades, added that the dealership treats the clients like family, especially since many have been with them throughout all these years. While the staff’s friendly nature is a large reason customers turn to Park Avenue BMW for guidance while purchasing an auto, they also turn to them due to the high-quality services they are met with. Besides Park Avenue BMW’s sales department, the dealership offers customers with a delivery center and a 75,000 square-foot service center located in South Hackensack. Both facilities were transformed from run-down warehouses into high-tech buildings, which earned the dealership a Good Neighbor Award from New Jersey Business in 2016 for building up the community. Customers are encouraged to visit the new Park Avenue BMW showroom during their grand opening event, which runs until Saturday, May 19. During this time, guests can enter for their chance to win two extraordinary prizes such as a pair of his and hers Cartier Tank Anglaise timepieces and a year of BMW payments (up to $500 per month). For more information, visit the showroom at 216 Route 17 North, Rochelle Park, NJ, or online at www.parkavebmw.com.